1. Gaur DD, Rathi SS, Ravandale AV, et al. 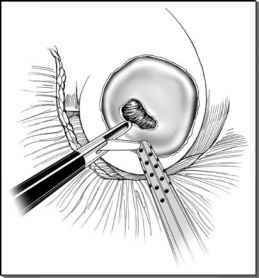 Asingle-centre experience of retroperitoneoscopy using the balloon technique. BJU Int 2001; 87:602-606. 2. McDougall EM, Clayman RV. Laparoscopic nephrectomy for benign disease: comparison of the transperitoneal and the retroperitoneal approaches. J Endourol 1996; 10:45-49. 3. Rassweiler JJ, Fournara P, Weber M, et al. Laparoscopic nephrectomy: the experience of the laparoscopic working group of the German Urologic Association. J Urol 1998; 160:18-21. 4. McDougall EM, Clayman RV, Fadden PT. Retroperitoneoscopy: the Washington University Medical School experience. Urology 1994; 43:446-452. 5. Capelouto CC, Moore RG, Silverman SG, et al. Retro-peritoneoscopy: anatomical rationale for direct retroperitoneal access. J Urol 1994; 152:2008-2010. 6. Rassweiler JJ, Seemann O, Frede T, et al. Retroperitoneoscopy: experience with 200 cases. J Urol 1998; 160:1265-1269. 7. Gill IS, Cherullo EE, Meraney AM, et al. Vaginal extraction of the intact specimen following laparoscopic radical nephrectomy. J Urol. 2002; 167(1):238-241. 8. Meraney AM, Samee AA, Gill IS. Vascular and bowel complications during retroperitoneal laparo-scopic surgery. J Urol 2002; 168:1941-1944. 9. Abbou CC, Cicco D, Gasman D, et al. Retroperitoneal laparoscopic versus open radical nephrec-tomy. J Urol 1999; 161:1776-1780. 10. Cicco, A, Salomon, L, Hoznek, A et al. Results of retroperitoneal laparoscopic radical nephrectomy. J Endourol 2001; 15(4):355-359. 11. Figenshau RS, Clayman RV, Kavoussi LR, et al. Retroperitoneal laparoscopic nephrectomy: laboratory and initial clinical experience. J Endourol 1991; 5:130. 12. Gaur DD. Laparoscopic operative retroperitoneoscopy: use of a new device. J Urol 1992; 148:1137-1139. 13. Gasman D, Saint F, Barthclemy Y, et al. Retroperitoneoscopy: a laparoscopic approach for adrenal and renal surgery. Urology 1996; 47:801-806. 14. Gaur DD, Agarwal DK, Purohit KC. Retroperitoneal laparoscopic nephrectomy: initial Case Report. J Urol 1993; 149(1):103-105. 15. Gaur DD. The accurate placement of the balloon for retroperitoneal dissection by the percutaneous method, ensuring that it expands in the right plane. BJU Int 1999; 84:1095-1096. 16. Gill IS. Retroperitoneal laparoscopic nephrectomy. Urol Clin North Am 1998; 25:343. 17. Gill IS, Munch LC, Lucas BA. Access technique for retroperitoneoscopy. J Urol 1996; 156:1120-1124. 18. Gill IS, Rassweiler JJ. Retroperitoneoscopic renal surgery: our approach. Urology l994; 54:734-738. 19. Gill IS, Clayman RV, Albala DM, et al. Retroperitoneal and pelvic extraperitoneal laparoscopy: an international perspective. Urology 1998; 52: 566-571. 20. Gill, IS, Schweizer, D, Hobart, MG, et al. Retroperitoneal laparoscopic radical nephrectomy: the Cleveland Clinic experience. J Urol 2000; 163:1665-1670. 21. Kerbl K, Figenshau RS, Clayman RV, et al. Retroperitoneal laparoscopic nephrectomy: laboratory and clinical experience. J Urol 1993; 7:23-26. 22. Kumar M, Kumar R, Hemal AK, et al. Complications of retroperitoneoscopic surgery at one centre. BJU Int 2001; 87:607-612. 23. Matin SF, Gill IS. Modified Pfannenstiel incision for intact specimen extraction after retroperitoneoscopic renal surgery. Urology 2003; 61(4):830-832. 24. Martin SF, Gill IS. Laparoscopic radical nephrectomy: retroperitoneal versus transperitoneal approach. Curr Urol Rep 2002; 3(2):164-171. 25. Ono Y, Katoh N, Kinkawa T, et al. Laparoscopic nephrectomy via the retroperitoneal approach. J Urol 1996; 156:1101-1104. 26. Rassweiler JJ, Henkel TO, Stoch C, et al. Retroperitoneal laparoscopic nephrectomy and other procedures in the upper retro peritoneum using a balloon dissection technique. Euro Urol 1994; 25:229-236.